Having a strategy on how to save money is not an impossible challenge even for those who earn little. Starting is the hardest part, but once you get used to carefully consider where you are spending all becomes easier. 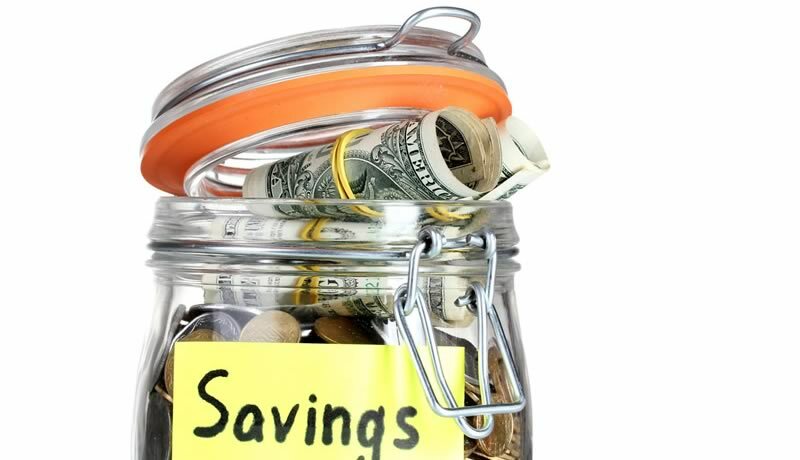 We have listed a 60 + ideas on how to start saving. Obviously, these are not absolute truth that can change lives, but little tricks that put together can lead to real savings. 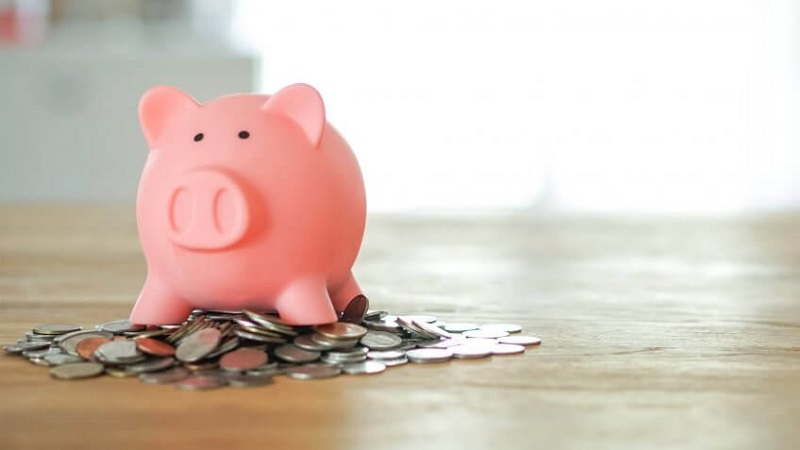 In banks are taking advantage of the less conscious consumers and often a simple negotiation over the counter allows you to re-evaluate the interest and the costs of the current account or savings. Some of the best deals are online, you should evaluate the change banks if the bids are not convenient, even if this sometimes frightens. Drinking plenty of water has great health benefits but also an attractive financial value. Drink a large glass of water before each meal will reduce the feeling of hunger and you will eat less. When you are at the bar or restaurant reminds that tap water is not only clean as much as bottled water, but it is also free. Watching too much television never does well but not only because of the content. See fewer ads will make you buy less; less power consumption will save in electricity bills. On the Internet selling everything. The idea of emptying the garage or the basement of all those objects that often have not even ever used can be a surprising source of income. Supermarkets, shops, hotels, airline companies and many other businesses offer point cards or other forms of allegiance. 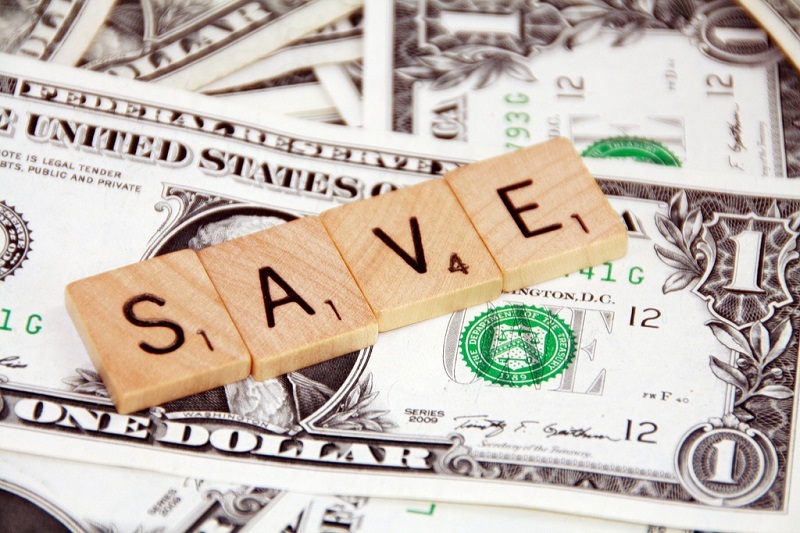 These programs when strategically used can lead to a lot of savings. Cooking often at home saves money and preparing larger portions to be put in the freezer can significantly save on the purchase of the ingredients. It is said that the gesture is more important gift. Prepare or create a handmade gift for loved ones can do to save money and also better appreciate the gesture. Buy in-store will be more and more expensive. Depending on your disposable income fixed a figure to which to apply the 30-day rule. For example, if you want something so it costs more than 100 dollars think about it for 10 days before buying it, if the tenth day you still want, buy! 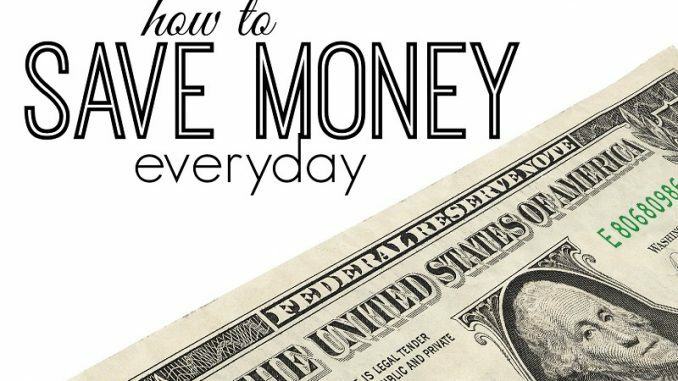 One of the easiest ways to save money is to shop following a list. Without a list of things to buy you end up doing impulse buying more expensive items. Eating out is the fastest way to end the budget for food and fun in one shot. It will always be cheaper to stay at home and cook in the company, of course, being careful not to overdo it with the menu. There are many sites where you can find deals and discounts. In general, buying on the Internet is cheaper than the store; this applies to most products and services. Do not throw your pants for a hole. Always try to fix the clothes with some sewing device. Learning to sew may be a good investment. The new generations spend hundreds of dollar in video games instead of playing outside in the park, push healthier activities and less care has double value. Often your kids just want your time. As in the case of current accounts also often on credit card finance companies are taking advantage of customers who do not complain. Contact your bank to ask to renegotiate the terms of the interest on your credit card. Donate to charities for tax deductions is a strategy that is good for the soul and wallet. Some video games can last a lifetime than others who once finished end-up in dusty drawer. Also, look at your shops area where buying and selling used games to spare. The idea that eating at McDonald saves is one of the most famous marketing lies. With half a kilo of pasta with tomato sauce, you eat in 4 at the cost of a cheeseburger! Not only does smoking really kill but also kills your finances slowly and inexorably. 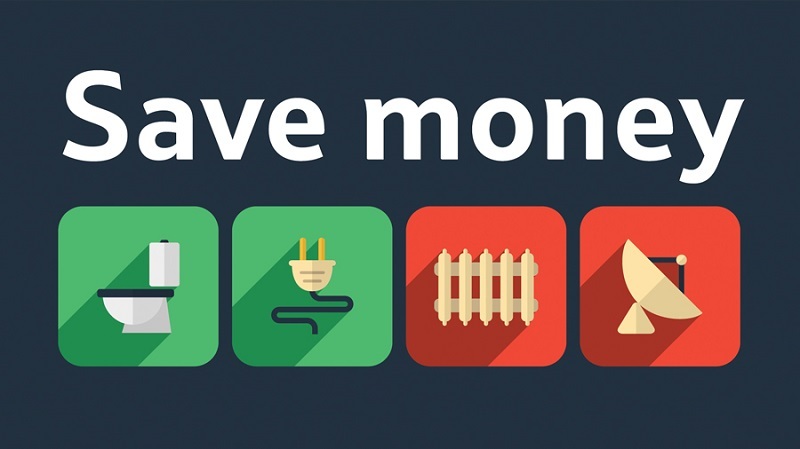 To save as much as possible, remember to turn off the lights every time you leave the house or a room. To save on the purchase of CDs and DVDs advantage of streaming services on the Internet. Energy saving light bulbs cost a bit more at the time of purchase but have a much longer life than regular light bulbs. Set your thermostat to heat your home only at certain times can save significant money. There are very interesting technological innovations in this area. It always pays to do some research when buying a new appliance. For example, a low energy consumption washing machine could cost much more than a normal, but the savings is obviously in the long run. A clean air filter can significantly improve the number of kilometers per liter your car. Others see shopping as a relaxing activity. Instead of going to spend money to eliminate stress, try to make a run in the park. If you are often tempted to use credit cards, we will want to just leave them at home, unless you also spending on the credit card will not let you collect points. The key issue is to create an automatic payment card from your checking account without ever going to pay interest. The price war between supermarkets is fierce. Visit the various supermarkets in the area before deciding where to do your shopping. A few more kilometers could mean big savings. Not only it is cheap but also it is also very good and often more healthy supermarket bread. Plan big goals with loved ones can mean even share costs and gains. Great choices like buying home or long trips you can make in the company planning and saving. Check that there is no dust especially on refrigerators, dryers and radiators. Less dust will be more efficient in the future, lasting longer and use less. Are you paying the fees in a gym or sports center you never use? Replace about the gym with outdoor activities to save. Often they can do very affordable purchases by buying used items. Avoid all types of viruses and bacteria; it will save on medical costs and risks of getting sick. It is too easy to spend online when you have your card details stored in an account. The best way to break this habit is to simply delete the card from your account. So the next time you will think longer before appearing. After Christmas and Easter and all other parties the costs of gifts are halved. Plan well in advance of the year after the presents and save a lot of money! The difference between two products of different brands is often the only marketing. Try to buy different brands and less popular to compare the quality. Insurance should not be seen as an investment. You are paying for expensive life insurance checking it worthwhile to stop and invest the money in the most convenient way. With the cost of gasoline skyrocketing car it has become a luxury item. Make sure you compare the number of km per liter of your new car. Also, compare the cost of diesel and CNG before making your choice. The mall can be a fun place but it is also the place of temptation. Avoid the mall unless you do not really need to buy something. Every time you pick up an object and you put the cart, stopped for 10 seconds and ask yourself if you really need it or not. Do you have a bedroom that is not utilization? It could bring a lot of extra money. Not only you save money but also this can be a great source of income. You have a stack of magazines to read in the living room? Often they do subscriptions thinking that surely will have time to read, but it does not. However, online you can find lots of content that can replace magazines. Eating a healthy breakfast will fill you with energy for the day but will also help curb the desire for an abundant and expensive meals. Create new and different dishes using leftovers from the previous meal and learn to appreciate the advantage of preparing the most generous portions. By putting on the front of the clothes that were hidden in the floor will give you a new perception of what you really need to buy. Instead of going out to eat at work, preparing lunch the night before perhaps using leftovers. With this tactic, you can save hundreds of dollars at the end of the month. On the Internet, there are videos and articles that explain how to do anything. Small maintenance work can be easily solved by listening to and reading the stories of others who have found themselves in the same situation be careful not to make things worse, sometimes a specialist is the only way. Buy yourself a diary or use your phone to make a note of your best ideas, especially ideas on how to save money. There are many free events that are often not advertised, informed and plan things to do in advance to save on your budget for fun. Having the right tire pressure can improve fuel efficiency. The garden is not only a hobby that can be very rewarding but it can also be an excellent source of savings. In rely completely on public transport may prove impossible, but in some areas the public transport works well and allows a significant savings of money. Reach agreement with the neighbor who makes your own journey to share the drive. Divide the car daily shopping can be a big money saver. When you buy non-perishable goods, you can save by buying bulk packs. For example, trash bags, laundry detergent, toilet paper and diapers are always bought in the format that you can find. In the long term, this leads to significant savings. Have snacks ready while traveling can avoid stopping or driving looking for a place to eat. Sometimes companies have concessions and discounts to its employees that it is always worth checking to find ways on how to save money. It’s amazing how many things you can do at home in just a few minutes to save a lot of money compared to products on the market. Not only accelerate too consumes far more gasoline, but also increases the risk of accidents that may hurt the health and insurance policy. 61) You can do it! Sometimes debts can lead to depression and create a vicious cycle that can only make things worse. Keep a clear view on your savings goals you can avoid problems and afford to spend on things that you can make happy.